The homeopath is a medicinal service known for its best effects on the diseases. The medicines used in the treatment of disease are ought to be safe and secure from a health point of view. 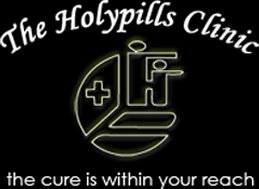 HolyPills Clinic runs by Dr. Ila Kathuria is a prominent internationally reputed homeopath doctor. The clinic has been serving for three decades with its committed staffs in care and service of patients affected by severe diseases. We have adopted homeopathic therapies with pioneering approaches and nutritional pharmacology and physical care. We are adored for our personalized care which is also the cornerstone of our mission. We concentrate on medicine as our passion and offer tailored treatment to every individual patient. Our patient-centric programs and services are committed to the assessment of your medical, psychological and physical needs. Come for the best homeopath treatment services for the proper care of your ailment.